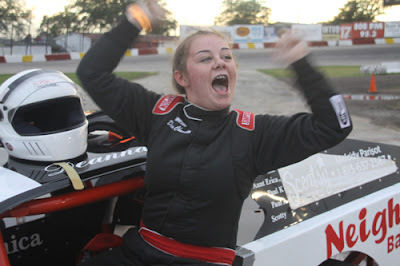 It was a night to be remembered for the young 14-year-old Deanna Chandler, # 6D from Machesney Park, Illinois as she won her first race in the Bargain Hunters Sportsman division as she yells out to the crowd on hand. 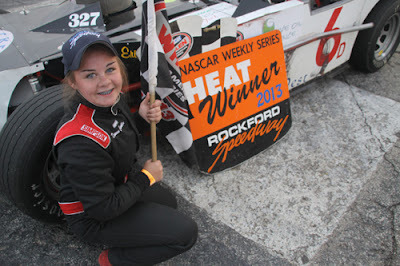 In victory lane is a happy young race driver knowing she raced with the best and won. 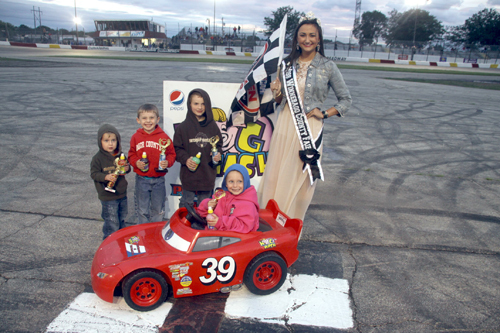 HogWash Mini Grand Prix winners are all smiles in victory lane as they are joined by Miss Winnebago County Fair Queen. 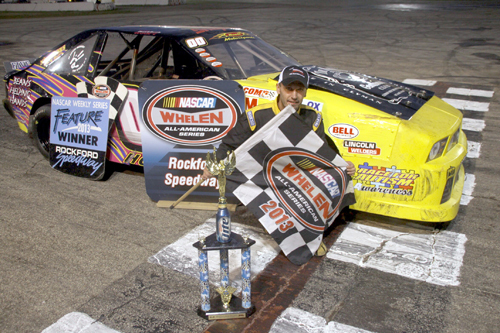 Scott Hoeft, # 00 Watertown, Wis., winner of the 25-Lap Miller Lite American Short Tracker feature event. 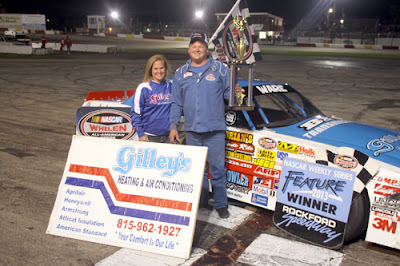 Howie Ware # 36 South Beloit, Illinois wins his first feature in the Bargain Hunter Sportsman division. Racing action in the Bargain Hunters Sportsman division saw bumper to bumper action during their 25-lap feature. 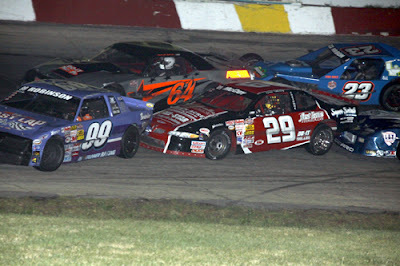 Brett McCoy # 29 Belvidere, Illinois finds himself in the middle of it all. 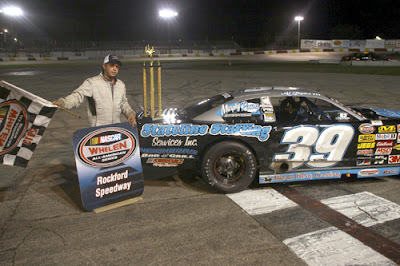 Taking advantage of a mid-race caution, Alex Papini # 39 Machesney Park, Illinois drove to victory lane to claim the Stanley Steemer NASCAR Late Model 30-lap main event.